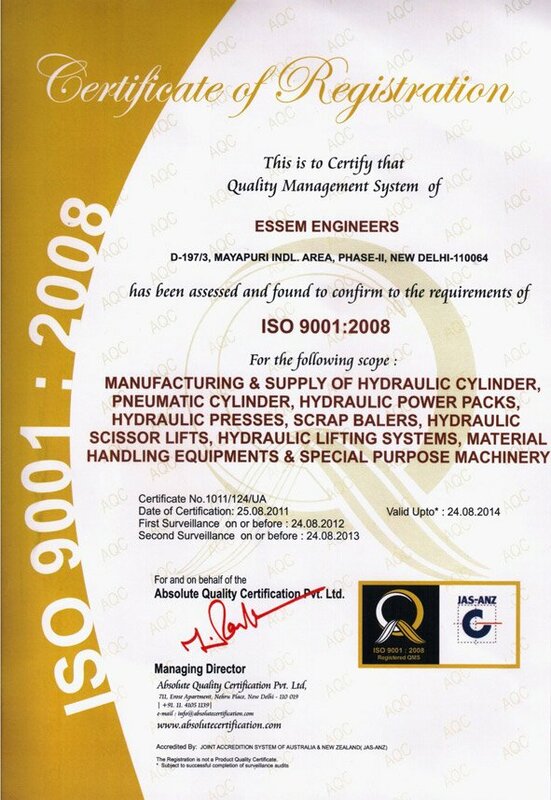 Essem Engineers is known to be one of the pioneer manufacturer and supplier of DC power packs. Our DC power packs find applications is tail gates, scissors lifts, dump bodies, pallet trucks, personal lifts, wheel chairs, car carriers, aerial ladders, dock levelers, tippers, mobile platforms, etc. We provide DC power packs with temperature protector and many options of valves configurations that suit the desired application. Clients widely appreciate our power packs for its best possible performance. To make sure the same, we manufacture these power pack equipments based on latest technology. Moreover, we manufacture power packs by using the best quality raw materials that are sourced from certified vendors only. In addition, we keep the established quality standard of the industry in mind, while manufacturing DC power packs. Our power packs have many features including Reliable performance, Easy maintenance, Resistance against abrasion, Perfect design, and longer service life. Prior to dispatching these DC power packs to our clients, our highly skilled and experienced engineers make the power pack equipments pass a quality assurance check to ensure its proper working and flawlessness. Moreover, they also check it for defects, if any, before sending it to our valued clients.